U.S. adversaries and competitors, such as Russia and China, are restructuring their military forces around the concept of information, an approach that views cyber, space, electronic warfare and information operations as one discipline, not separate and siloed domains. The Department of Defense is now following a similar approach. In summer 2017 the Marine Corps reorganized its leadership and forces to reflect a new reality: that information will play an outsized role in any future conflict. As a result, the service has established a new deputy commandant for information, a three-star billet that will oversee all aspects of information warfare within the service. In June, the Pentagon announced the appointment of Lt. Gen. Daniel O’Donohue to serve in that job. “In our Marine Corps Operating Concept, what we really drive to is information warfare,” Lt. Gen. Robert Walsh, commanding general at the Marine Corps Combat Development Command, said at the Association of the U.S. Army’s annual conference in October. Gen. Robert Nellar, commandant of the Marine Corps, formed an information warfare task force in November 2015 to lead development and integration of new information warfare capabilities, according to a service spokesman. That task force then led to the establishment of the deputy commandant of information in March and O’Donohue officially assumed the role in August. “When we went into Marine Corp Force 2025 and did all of our wargames, our experiments, our exercises, the major driver was the information warfare area — the information domain,” Walsh told reporters in September. The Marines’ approach mirrors that of some of the United States’ peer competitors. Russia and China have begun to organize their forces around information and started to write formal doctrine on information operations. 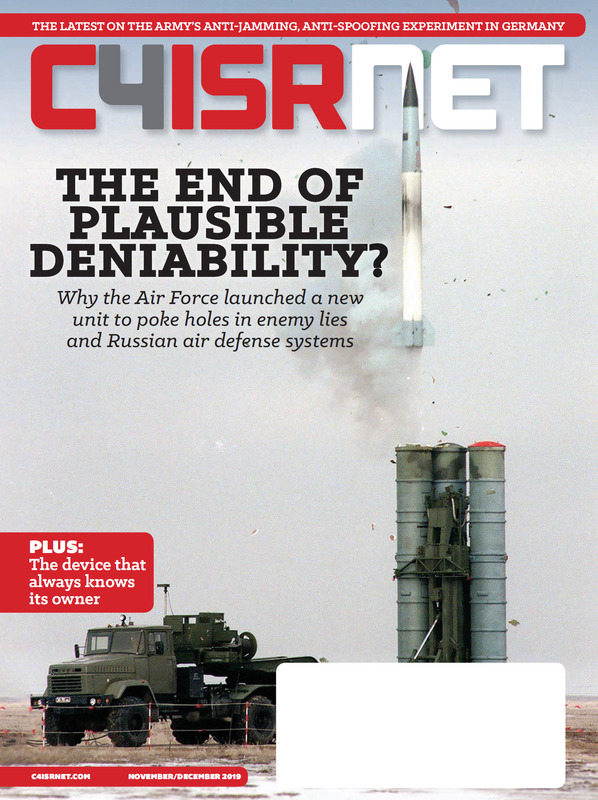 Russia views many facets of the information arena — including information operations, space/counterspace, cyber, cyber-enabled psychological operations and electronic warfare — as critical to fighting and winning future conflicts, especially against the U.S., according to a recent report on Russia’s military published by the Defense Intelligence Agency. Russia’s defense minister acknowledged in February that the federation has a new information warfare branch of its military. Investments in so-called information capabilities serve a purpose for a more “informatized” military, according to the Department of Defense’s 2017 report to Congress on China’s military developments. China’s Strategic Support Force, created in 2015, appears to envelope the Chinese People’s Liberation Army’s space, cyber and EW missions, the report notes. In the 21st century, warfare has become as much cognitive as it is kinetic, Lt. Gen. Vincent Stewart, then the director of the Defense Intelligence Agency, told a small group of reporters in August. Using the Russian incursion and eventual annexation of the Crimean Peninsula in Ukraine as a case study, Stewart outlined how Russia exploited its “information” capabilities. In February 2014, Russian leaders shaped the information environment by proclaiming the military would defend ethnic Russians, seize key locations and resort to information warfare and cyberattacks to cripple communication channels and media outlets, Stewart said in an August keynote. By the time a referendum in Crimea was held a month later, Stewart explained, Ukraine’s decision space was gone. Russia already controlled the peninsula, and did so without firing many shots. Stewart is now the deputy commander of Cyber Command. 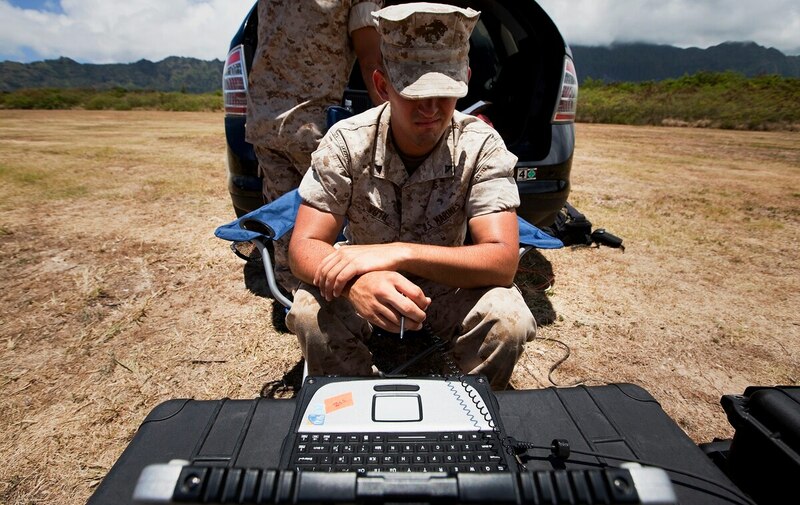 Marine Corps leadership views the focus on information as a gamechanger. Now Marine leaders expect a more cohesive approach. “Signals intelligence, cyber, electronic warfare, information operations, artificial intelligence, cognitive learn; those kinds of capabilities are really what’s going to give us the advantage on the battlefield,” Walsh said. Just as night vision capabilities revolutionized operations at night, he sees information warfare making the same kind of difference. “Information warfare is going to be our new night,” he said. • Military deception aimed at misleading adversaries. • Military information support operations, aimed at coercing enemies to take certain action (previously, these actions were left primarily to other services, but the Marines want this capability organically in all units). The Marines’ approach has the blessing of senior Pentagon leadership. Secretary of Defense Jim Mattis wrote a memo in September endorsing the decision of the Chairman of the Joint Chiefs of Staff to designate information as a new seventh joint function, according to a DoD spokesperson. Joint functions, according to DoD’s doctrine, are related capabilities and activates that are grouped together to help integrate, synchronize and direct joint operations. This designation has served as a validation of sorts for the Marine Corps’ reorganization.